Formal study within any discipline carries the great benefit of introducing you to reading material that you probably wouldn’t usually be attracted to. One of the books that has had the most impact on me over the last month or so is a book that completely wound me up. It is not on a subject or by an author that I would be initially drawn to, but reading it (as I had to for an assessment) completely drew me in to wrestle with the concepts the author laid out and I am still processing the implications of her thesis. 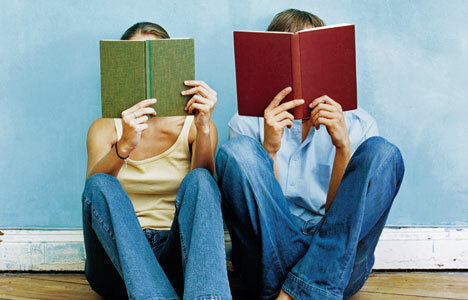 So here’s the question – how much of your reading is really the same old stuff? The same old authors, mates of the same old authors, the same old publishing houses and all that? When was the last time you read something completely out of your usual comfortable reading zone? I highly recommend mixing in the odd left-field book to your usual reading diet. I promise you, it will take you to the next stage. So you disagree with what he or she is saying…why? On what grounds? Is it something wrong with the author’s conclusions? Are they inconsistent or poorly argued? Or maybe it is your horizons that need to be challenged a bit? Perhaps your opinions must take this new viewpoint into consideration. You see – without reading this kind of book, you will not progress as quickly as you think. There may be a whole other realm of thought or understanding that you could be missing out on if you stay within your reading comfort zone. So take a flyer. What are you going to read next?